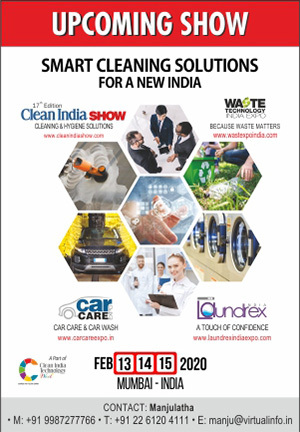 A few years back when Clean India Journal interacted with a number of admin heads of different corporate houses, banks and other business establishments, we still found them uncertain when it came to outsourcing of cleanliness & maintenance activities to service providers. What prevented full dependence on an outside agency were probably cost considerations, lack of clarity on results sought for and frequent changes in manpower from the agency side. However, things have changed now. Mangala Chandran, Editor-in-Chief, Clean India Journal, catches up with the heads of administration of leading corporate houses on FM today, outsourcing and sustainability. A perfectly kept office premises is a necessity and to some, a status symbol. For example, the boat shaped corporate office of Bank of India in Mumbai’s Bandra Kurla Complex, or the Bank of Baroda building which is one of the earlier offices to come up there, have to compete with the newly designed buildings with fancy glass façade. “So, we strive to keep our buildings well,” say the officials in charge of maintenance. It is now perhaps more of a matter of pride in the structures that motivates the management to keep up the neat & tidy look. “Our 14-year-old corporate office building is a landmark. We take pride in the way we create a welcoming ambience in the board room and also around the office,” says K.S. Varadarajan, Chief Manager, (civil engineering) Premises department, Bank of India. With different buildings at the same location at different locations in the city and with multiple service providers, the heads of administration have put in place systems that work well for them. D.K. Namdev, General Manager & Head Facility Management, Bank of Baroda, says that the BOB corporate office building, came in existence in 2002 at BKC. 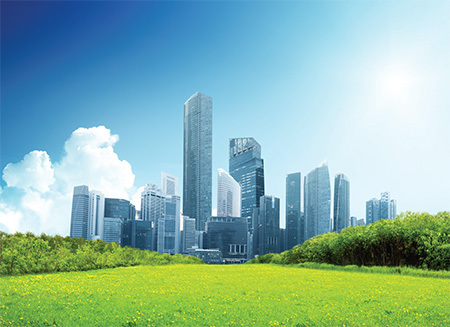 “Sustainability of any building depends on its hygiene care & upkeep of its premises. Major cleaning & maintenance practices were adopted since this building’s existence. 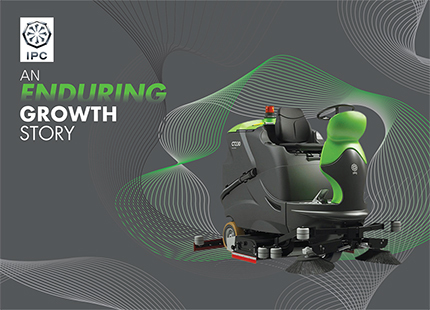 Highly advanced cleaning tools and cleaning machines are deployed to assist the human resources to achieve superior quality of cleaning and enhanced productivity. BOB uses the FM services from UDS. The workers are present 24X7 in the building not only to keep a check on cleanliness but also to consistently to make the environment greener & healthier. Almost 50% of the area of the plot is covered with greenery and open spaces to breathe fresh air. How has his experience been especially with multiple services providers involved? Outsourcing again, has not always been a success with every facility. There can be factors in the outsourcing model which need to be looked at. “It is very true that not every field of work benefits from outsourced services. For example, it may be best to hire housekeeping services but the skill for allied/specialized works such as carpentry & plumbing work provided by facilities management agency may not be of desired quality.” Namdev feels that one of the discomfort points for any organization in outsourcing could be the process of outsourcing and managing it. “The odds of recognizing the requirements of a company and actual services provided are on lower side. This gap of understanding between the service provider and receiver is always hard to bridge. Specialized skills may be compromised in procuring services from third party. Liability and accountability to comply with local laws in assigning job to the outsource agencies. Providing facilities/work space/security and responsibly of manpower involved.” He adds that in coming years, the gap is expected to be bridged soon looking the competitive scenario of service providing market and innovative techniques/products being introduced in the system. Talking of outsourcing, Arvind Yadav, Vice President – Administration and Facility, YES Bank Ltd states that “Outsourcing is always better and reduces burden from the companies as the complete operation is taken over by the agencies. Companies only need to have control measures in place to control and direct these agencies to desired/ set goals. It is advisable to have multiple service providers for large scale operations. It creates a healthy competition amongst the players and reduces dependability on one vendor during crisis situations. 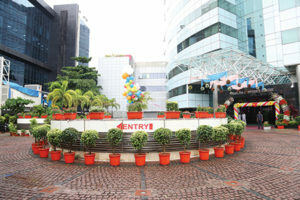 “We at the corporate office, handle the complete gamut of facilities operations as well as administration function. It includes, safety and security of premise, housekeeping, building operations (Electricals, HVAC, utilities, etc. ), cafeteria management, pest control, landscaping, Mail room management, marble and carpet care etc. Housekeeping is responsible for the complete office upkeep and maintenance. YES Bank uses services of UDS for technical services and Master Polishers for soft services. Pest Control and façade cleaning too go to different service providers”. 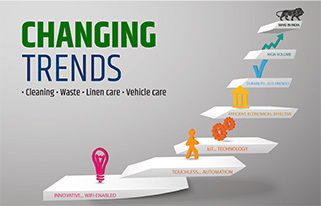 When it comes to a company like Reliance infrastructure Ltd with divisions like Energy, Infrastructure and EPC, the housekeeping process takes a different design. Energy centres require multiple locations and thousands of employees. The company has to ensure cleanliness in all the distribution centres, receiving centres and the corporate office. “We have task allocation for housekeeping as per industrial standards whose work we can monitor against specifications” says Major Ramakrishnan A.K., Senior Vice President -Administration. “We have 75 Receiving Stations out of which, a few are unmanned where we have butterfly schemes of housekeeping. The housekeeping activity at Receiving Station is by rotation in which the designated housekeeping staff cleans the premises in a week. Receiving Station being technical area, housekeeping is carried in presence of an engineer to ensure safety parameters. We do have two service providers. Work orders are given the beginning of the financial year where the scope of work is defined to check the parameters of performance. There is a system of penal deduction for every fault.